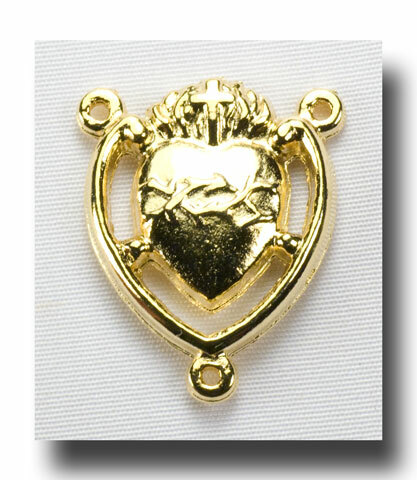 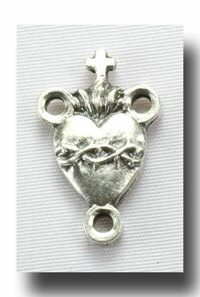 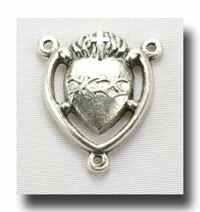 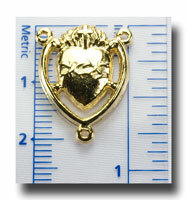 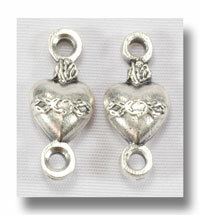 3/4 inch heart shaped centre with a crown of thorns around the center and flames at the top. 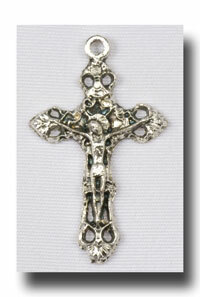 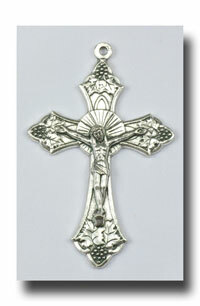 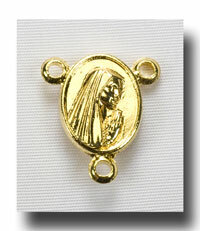 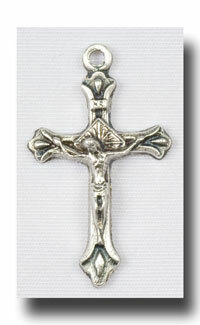 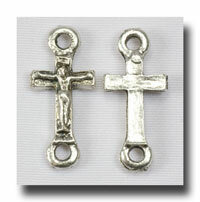 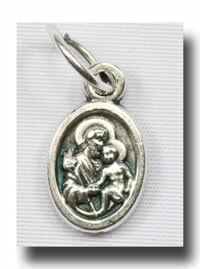 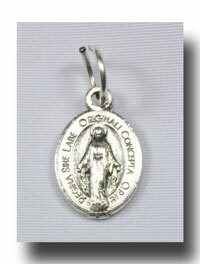 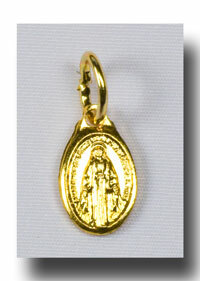 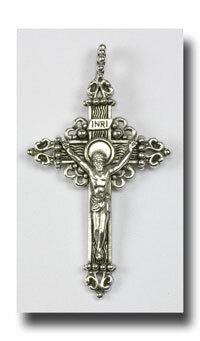 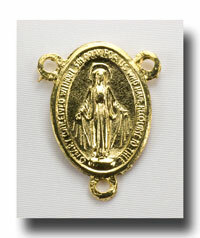 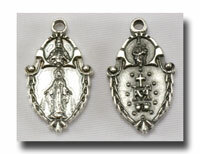 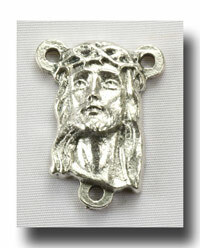 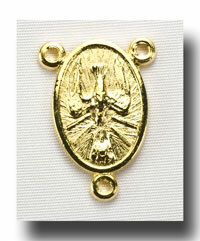 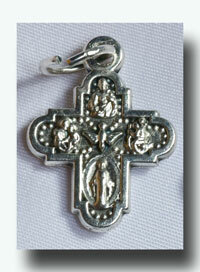 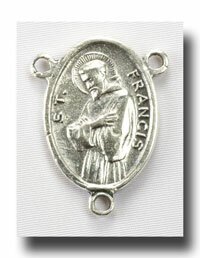 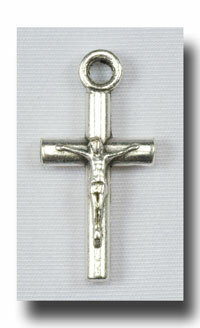 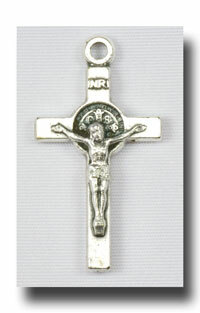 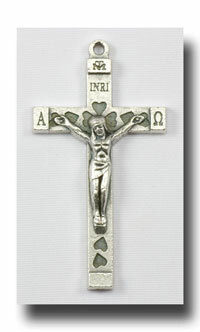 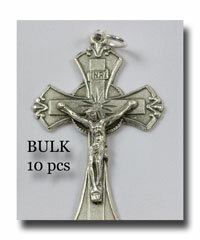 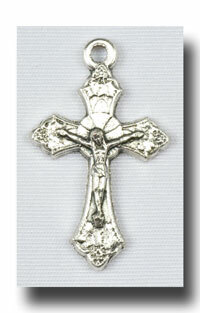 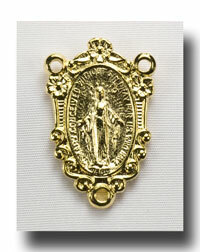 The reverse has a small image of Our Lady of Sorrows. 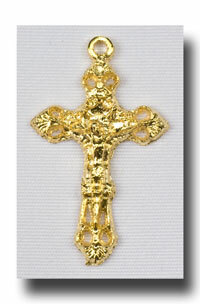 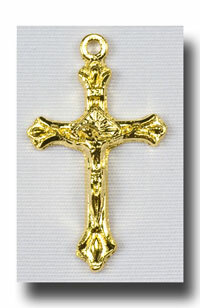 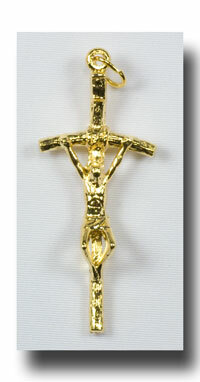 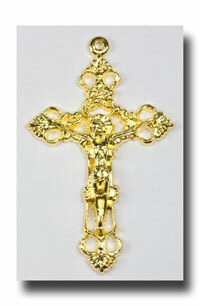 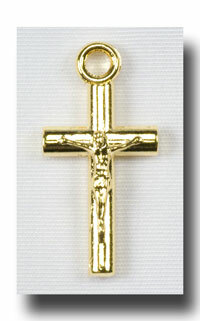 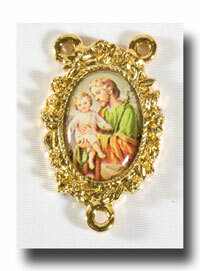 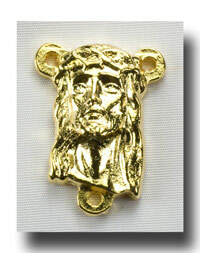 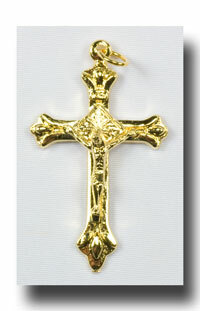 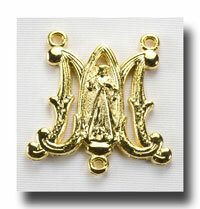 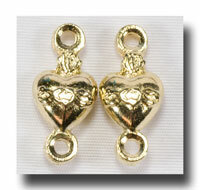 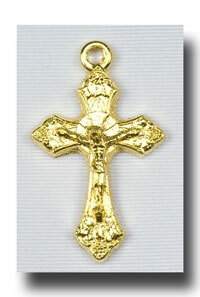 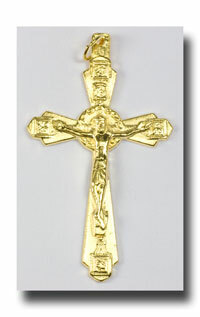 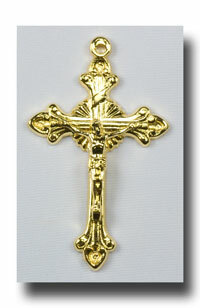 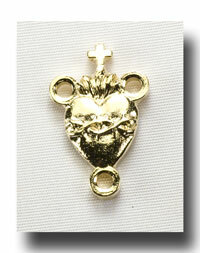 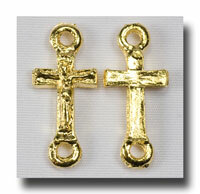 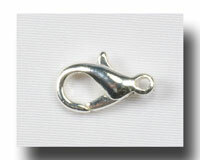 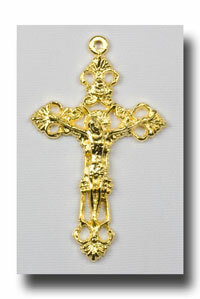 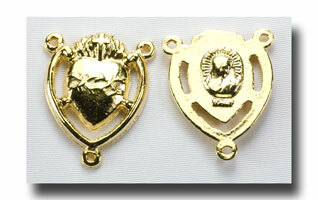 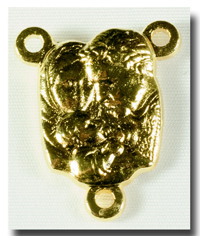 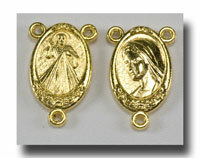 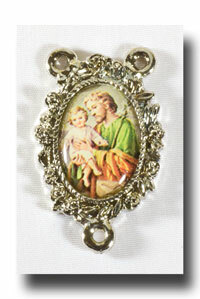 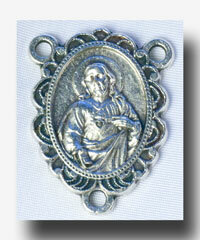 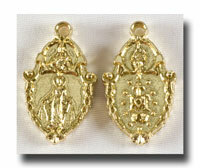 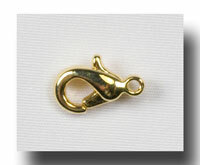 Made of gilt or gold-tone lead free metal.